Today I’m talking about hosting a podcast that supports your business. As I approach 100 episodes of Process to Profitability, I’ve talked to a lot of people about why I started a podcast and how I run it while still maintaining my service-based business. Podcasting has become the main way I create content to support my business, so today I’m sharing how I got started, how my podcast grew, and what you should consider if you want to start a podcast of your own. 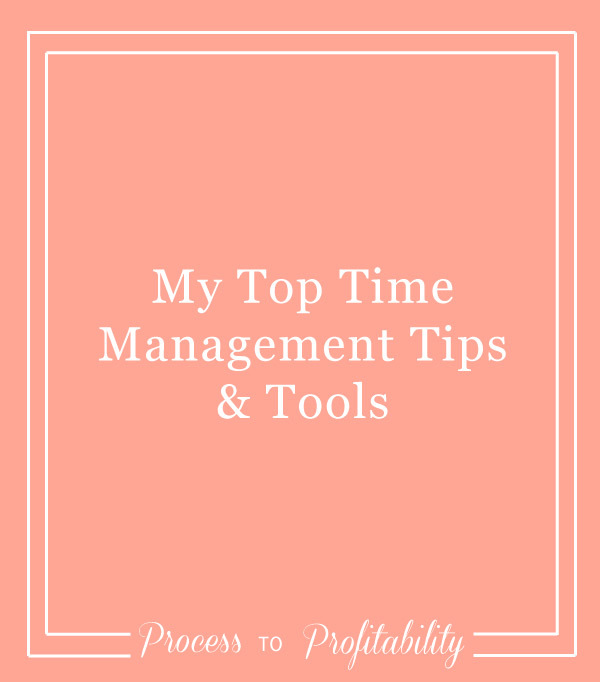 Today I’m talking about my top time management tips and tools. Have you ever looked back at a long day of work and wondered why you didn't get anything done? I certainly have - there have been many times that I've thought I was being productive, but I was actually spending my time on things that weren't as important to my business. As the creative director and only designer at Lemon and the Sea, I have a lot on my plate - and I'm sure you do to. That's why it's important to use your time in the best way possible. After all, time is one thing you can't make more of. So how do you increase your productivity when you're trying to do it all? These are some tips I've learned during my time in business (and in architecture school before that - no all-nighters for me). Today in another solo episode and I am chatting with you about conducting a website self-audit. I wanted to talk about this subject because I think that it’s so important that each of us takes time every once in a while to look over our website and make sure it’s really working and supporting our business. It’s easy to get caught up in everything else we have to do as a business owner and leave our website to the last minute (or not update it at all even though h we know we should). That’s why I’ve created this self-audit outline that you can follow that makes it easy to look at your website and go over it ever y once in a while and make sure that it’s serving your business in the best way possible. Most of the things I’m talking about here won’t be big changes that need to be made, but small pivots that can help increase the traction that you’re seeing from your website and really get you the results that you’re looking for so that your business can grow and you can spend more time doing the things that you love. What is the Why behind your work? What are their hopes, dreams, and big goals? How can your brand help them reach those big goals? What are three brands they love? Why do they love those brands? Your about page isn’t really about you, it’s about your dream client. People are going to check you out before they decide to invest time or money into your business. They want to know what you can do for them right now. If you have an online business, whether you’re supporting it through a blog or not, your need a solid About Page that’s easy to find and targeted to your dream client. This is where you house your testimonials, press, or featured posts. You can also show any awards or accolades you’ve received that are relevant to your field. These can be on a separate page, but should also be sprinkled throughout your website. Your blog is so much more than simply sharing images or talking about your work - it’s where you can start to educate your clients and give them a behind-the-scenes peek into what you do. For more in-depth information about website analytics and what you should be paying attention to, plus how to use Google and Squarespace analytics, check out my episode on understanding analytics. Listen to my episode on finding keywords for your website and SEO basics for more in-depth information. Welcome to Episode 29 of Process to Profitability. It’s another solo show this week and I’m covering one of the topics I get asked about most from my website design clients: creating content for your website. Your content is one of the most time consuming and intimidating pieces of a website design (or redesign). You want to get it just right because you’re investing in a brand new website and you really want to see growth in your business. But if you’re like many small business owners, you just have no idea what you should include on your website – and you wish someone would give you a checklist already. Today I’m going to do just that – give you a checklist of the content I’ve seen work best on websites – and tips for making it your own. I can’t believe we are already at 25 episodes into this show, and I’m so excited that you’ve been with me along this entire journey. Today I want to talk about something that is going to be really important as we come up on the end of the year – quarterly website maintenance. Some of these things you may have been doing all along and this hopefully won’t take you tons of time, but I think that they are really important to remind you to do at least every quarter. You may find that you need to do some of these items daily, weekly, or monthly depending on your business and website, but you should be going through this list every quarter to get into your business and know what’s going on behind the scenes without feeling overwhelmed by another item on your to-do list. You can download a checklist of these items at www.lemonandthesea.com/episode25. This isn’t the day to day work of adding blog posts and responding to comments and it’s something you can do yourself with just a little time and know-how. Quarterly website maintenance is focused on keeping your website healthy, making sure you’re on track in your business, and that you’re getting the results that you want to see from your website. Doing these things quarterly will also help you plan for future updates to your website and know what you want to change and who might be able to help you meet the goals you have for your website. This is important so that you have a backup of your site in case it’s hacked or goes down. When you can recover at least the content, it’s a lot less stressful than starting over from scratch when things go wrong. Use both Google Analytics and any analytics available from your website host. You can use this information to adjust the content you’re creating and promoting and where you’re focusing your marketing efforts. What is your most popular page/post? Are some pages dead ends? Where are people coming to your site from? What is your best conversion source? This can either be a quick check-in if you’ve kept up with your design or have just gone through a re-design or a more in-depth look if you haven’t had time to prioritize your design at other times. Are the images up to date? Does it still reflect your brand? Does it look consistent across all browsers? Does it look correct on mobile? The slower your website loads, the less people are going to keep coming back to you. You want your website to load quickly so you can reach your dream clients (plus Google knows that pages that are slow to load are less liked, so they rank you lower in searches). Are there images that need to be resized? You want to make sure that all of the links on your website are still active and working. This helps with sharing quality content that helps people to trust you and helps with SEO because Google doesn’t like broken links. Are all the links still working? Are there any pages that no longer exist? Similar to links, having forms and a check out function that works properly helps your business run smoothly and builds trust with your audience because things aren’t getting lost. Are all forms and check out functions working? Does any inventory need to be updated? Do you need to collect more/different information? Updating your portfolio can be intimidating because it takes time that seems like it could be better spent on client work, but by doing it quarterly, you’re showing off your expertise and creating fresh content for people who might be interested in working with you. Check your about page, home page, guest bios, and social media to make sure every place is consistent and reflects your current services and brand. Does your bio still reflect you? By sharing the places you’ve guest posted or been invited to speak, you can build the know, like, trust factor with your audience. Were you a guest on blogs or podcasts? Did you speak at an event? Make sure that Google has a site map for your website so it knows which pages are on your website and help with SEO. Are there any missing pages? Did Google find any issues you need to fix? Make sure your copy reflects what you do, who you work with, and the benefits that you offer to your clients. You want your SEO efforts to be pointing to the services and content that you’re offering now. Also known as a User Experience test, you can have a friend or Facebook contact perform tasks on your website to make sure that it’s easy to navigate and makes sense for your dream clients and website visitors. Review your progress toward meeting your goals and adjust your content, marketing, language, or analytics as needed so that you know how your website is helping your business grow. What progress are you making towards your goal? Do you need to adjust which numbers you’re looking at? Are there things you need to change or remove? Remember, you don’t need to dig into these things every day, but by doing them quarterly, you will have a good picture of how your website is performing, what’s working and what isn’t, and things you can add to your list to improve. The goal is that you continue building a website that shows your expertise and brings in more dream clients.